There are days where we all feel like bad parents. Like we weren't born to bring children into the world and shape them into the human beings that we wish to see in the world. This is a very natural feeling, especially when one first has a baby. Being a parent to a newborn or baby is perfectly challenging. It's a storm of expectations, letdowns, chaos, tears, responsibilities, sleepless nights, and a lack of social life. But, of course, it's usually a complete joy simultaneously. If it weren't, we wouldn't have wanted children to begin with. Without a doubt, one of the things that makes parenting easier is the fact that there's always someone worse at it than we are. Yep, we take pleasure in knowing that we may not be as bad as we think we are. It gives us the courage to get up in the morning and fulfill our roles as moms and dads. And it makes us thankful that we aren't in the same position. This list includes an assortment of babies that clearly have parents that are as bad as one could get. All of us (hopefully) pale in comparison to what these parents must be like. Without further ado, here are 25 Candid Photos Of Babies That Had Us Questioning Their Parents. The parent of this kid should be mighty unhappy with themselves. Not only did they let their kid eat an endless amount of potato chips, but they also let their kid eat them out of the trash can. Seriously, kids love chips, but they shouldn't be going to this extent to get them. Additionally, they shouldn't be eating too many of them in the first place. They aren't particularly nutritious, especially for kids who are in the midst of developing. A treat now and then is okay, but they shouldn't be wanting them enough to take them out of the bin. Kids love when their parents, grandparents, and friends watch them do cool things. Such cool things could be handstands, soccer goals, or even going down the slide. Unfortunately, it seems like nobody was watching this kid go head-first down a slide. This, of course, was probably not a good idea since the kid does seem very young and still has a developing head and neck. Thus, they should be protected as much as possible. Still, at least he got a second or two of fun. There is absolutely nothing safe about this. In fact, it's so unsafe that this guy should probably have his kids taken from him. The kids are not protected should anything get too close to them. But the kids could also get a ton of dust in their faces. Actually, there really is no shortage of things that could go wrong here. Whoever took this photo knows how ridiculous it is. Here's hoping that somebody found out who this guy is and these babies are safe and sound. 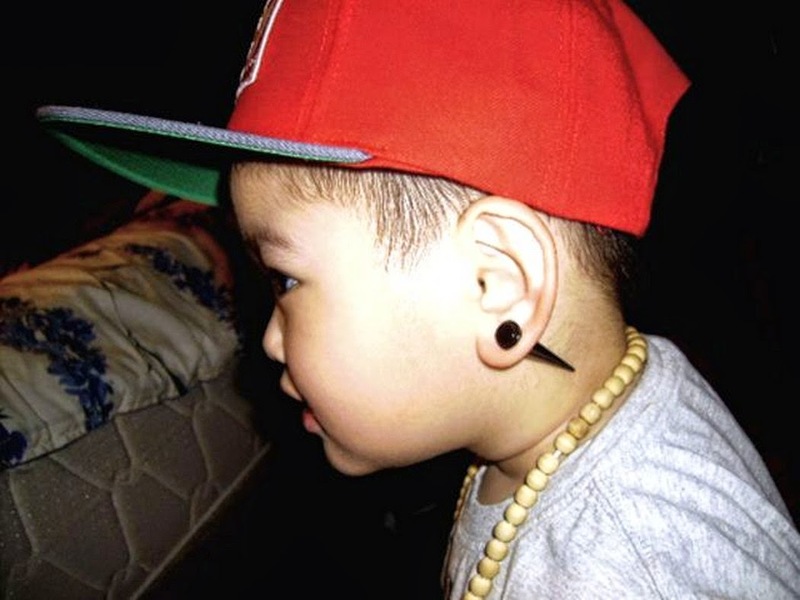 Seriously, this guy should have his parenthood revoked. People actually take out car windows if they find that a baby or a dog has been left with the windows up on a warm day. But this is the alternative; a kid yelling out the window like a rabid pooch. If this car was moving, it would be totally uncool. The fact that the car is in park makes it slightly less hard to see but only slightly. Parents should be making sure that their kids are sitting securely in the car, or are out with them and not left alone like this. Kids are always troublesome to take shopping. They always seem to want to get into all sorts of mischief. Well, this kid may just take the cake. He seems like he wants to take down the entire store. Although he is doing so with some level of organization at least. His parents seem to be completely away from the scene, which is probably why this person has decided to take this photo. At the very least, it reminds us that we are probably better parents for not letting our kids do this. A baby's head and neck are particularly sensitive due to the fact that they are still developing. This process takes a while. Therefore, skiing on a parents' back is not recommended. Especially when that parent skis like James Bond in The Spy Who Loved Me. 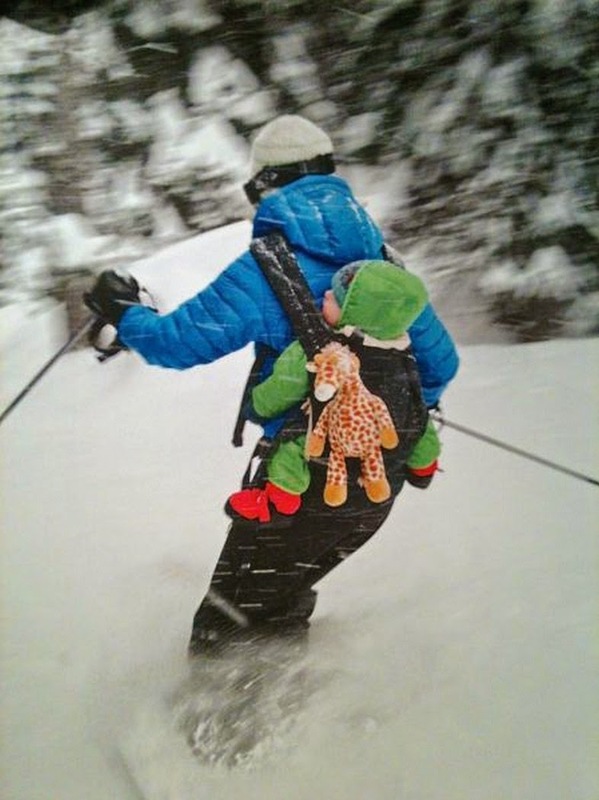 Most parents wouldn't even dream of taking their kid skiing like this. It just isn't something that anyone with any common sense would do... And yet, here we are... At least the baby looks all warm and cute in his little outfit. 16 Welcome to the 2010s! This little image is completely of the times. At first glance, it's pretty funny. But upon deeper inspection, it's downright icky. Sure, this baby may be learning how to use technology at a young age, but she's also picking up on an assortment of bad habits, most of which are rooted in a deep-seated and unresolved insecurity. How else could one explain this mother's need to get her baby to take a cute photo of her on the fly? This is just #sad. You'd think that they'd make more money if they were showing off their baby instead of pressing it up against the wall. Frankly, this is a hilarious display of bad parenting. There's nothing wrong with trying to earn an honest living by playing some tunes for people, even if they are on overturned containers. But it's another thing to have a baby with sensitive ears somewhere so loud. Not to mention that the position she's in is anything but comfortable or safe. In what world would a parent let their kid put their baby in a dog cage? Seriously, there's so much that's wrong with this image that it's hard to make any sort of comment on it. It just causes us to be speechless. On one level, the older kid is clearly out of control. Her behavior is so poor that it reflects badly on the parents. But the parents are also clearly in the room as they've taken this photo. That means that they were happy to snap this image. This is just a big bowl of bad parenting. Believe it or not, most health care professionals don't recommend that you use your child's head as drum kit. We know that sounds a little nuts, but it's true. Apparently, it can actually harm their soft heads which are still developing. Additionally, allowing a kid to wear a drum as a hat can cause all sorts of other issues. On the flip side, this photo is bound to make most feel like they're wonderful parents as they've probably never done this with their kids. There's nothing like giving your kid irreparable stresses when they are just a few months old. By the look on this baby's face, this is something that he is bound to keep with him for the rest of his life. It will pervade his dreams and subconscious in a way that his therapist will have a hard time explaining when he's older. But who cares, right? At least daddy and mommy got a good laugh out of this. We have to give this photo some props though. It's actually hilarious! There's something so unbelievably degrading about keeping children on leashes. Of course, it's not something that every pediatrician or child behavioral expert recommends. But regardless of their informed opinions, it just looks wrong. Putting a leash on a child is efficiently telling the rest of the world that your kid is so uncontrollable that he or she needs to be trained like a dog. Have you ever seen a parent walking around with a kid on a leash? Doesn't it just want to make you go over and rescue the poor child? 10 The Old Ways Are Best? We had to include at least one candid baby photo from the olden days. And of all the pictures that we could have chosen from, this one takes the cake. How in the world did anybody think that sticking a baby in a cage that's sticking out of a window was a good idea? Sure, the baby will probably learn to get used to heights at a young age, but there's just no way that this is safe. Frankly, nowadays, this is a sure-fire way of getting CPS knocking on your door. Pretty well every bottle of medicine has some sort of inscription that reminds parents not to let children anywhere near it. Clearly, this dad hasn't read the fine print or is just purposefully inept. A bottle of medicine is not a rattle. It should not be treated like a toy. It should be kept out of the hands of young children, especially babies like this one. Babies this age are particularly curious about how things open and close. This is something bad just waiting to happen. It doesn't matter how friendly a dog may seem, they should never be allowed to get this close to a baby's face. Animals can be unpredictable, even if they are well-trained and very friendly. Building a connection between animal and baby is a beautiful thing, but it should always happen with an adult right at hand. Sure, someone is taking a photo, but there's no way they could intervene should something happen. Perhaps this dog is friendlier than she looks, but it's just not a chance worth taking. This baby looks like they are having a bit of harmless fun, right? Wrong. The parents of this kid clearly don't know what they're doing. This photo is precisely why parents should be required to get a license for their kids. Cords are not good baby toys. Especially when a baby is at an age like this where they are very curious about how things work. There's no shortage of bad things that could happen here. Luckily someone was around to snap this photo to remind us to keep our kids away from chords. We may have to question the parents who would let their little one get into the chocolate ice cream like this. There's nothing wrong with giving a baby a little treat now and again. It's what makes life exciting and wonderful. But letting them scoop straight out of the ice-cream container doesn't teach them much in the way of portion control. And this is something that's important for kids to understand. Besides, eating straight out of the container isn't useful until you've been dumped. It's disheartening that so many parents don't know how to properly use a car seat. In most States, the car seat needs to be facing the opposite direction than the one in this pic. That is if the baby is less than two-years-old, which the youngster in this image appears to be. But it's not that it matters, this baby is almost entirely out of her car seat rendering it pretty useless, to begin with. This picture should truly cause us all to question the parenting skills of her mom and dad. Okay, first of all, we totally need to talk about how cute this picture is. How could anyone have staged this? This is truly a beautiful and hilarious candid image. But it's also kinda sad to think that this kid probably won't move for the next sixteen to seventeen years. Sure, playing video games does have certain developmental advantages, but getting a kid hooked on them at this young of an age should cause any parent to shake their head. Additionally, the position of that pillow above his head is not great for a kid his age who physically can't get himself out of many situations. Every parent has had a moment where their kid has thrown a temper tantrum in public. Usually, it can be quite awkward and disconcerting. It causes parents to swiftly grab their kids and head somewhere that they can be alone. 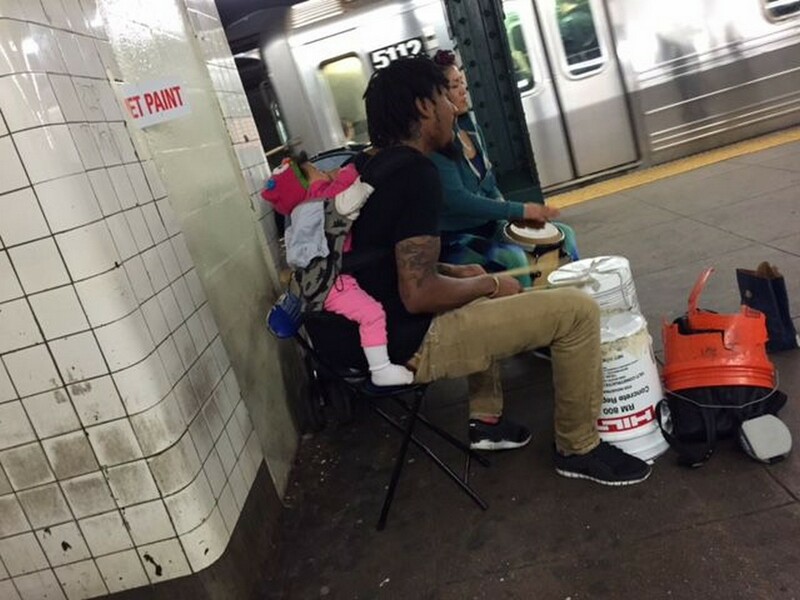 But this parent is clearly letting his kid get loud and annoying in public. More importantly, he's allowing her to lay on a floor that doesn't appear to have been cleaned in the past forty-three years. Parents who get their baby's ear pierced should give their heads a shake. Yes, that goes for celebrities who do this too. It's just something that their developing and growing bodies shouldn't do at this age. Additionally, it should be their choice. If they want to do that to themselves later on, they should be allowed to. But at this age, they're merely being their parents' accessory. Something that they can show off in public like a nice handbag or a diamond ring. In short, they want their kids to look cool so that they look cool. Cultural traditions are great, but not when they put little kids with wild animals. That's just a recipe for unhappiness. It's a good thing that this kid is wearing a helmet, but that's not going to do any good if that sheep got any madder. And if you were this sheep, you'd probably want to get this annoying kid off your back as soon as possible. You may even want to go back and pay him a visit for causing you the inconvenience. At the end of the day, we can't get angry with the kid or the sheep. The fault should land squarely on the laps of the moronic parents who let this kid do this in the first place.